Earlier this year, Philippe Petit released Oneiric Rings On Grey Velvet, the first in a trilogy of releases collected under the generic title of Extraordinary Tales Of A Lemon Girl for US-based imprint Aagoo documenting the imaginary story of a mysterious girl character inspired by Italian crime fiction and the various wanderings of Homer, Lewis Carroll or James Joyce. With the second and third chapters in this series of releases, Petit continues to experiment with processed classical music and electronics and creates a particularly complex and dense series of sound worlds which, whilst all more or less related, all have their individual identity. 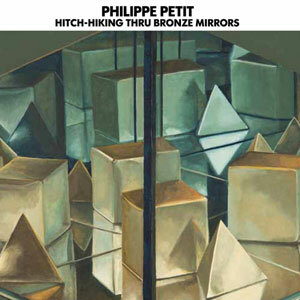 Divided into movements, reinforcing Petit’s connection with classical music, Fire-Walking To Wonderland and Hitch-Hiking Thru Bronze Mirrors are uneasy affairs to apprehend. 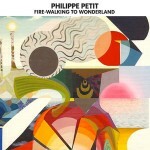 The influence of avant-garde and musique concrète is felt intensely, as much through the total deconstruction which defines this work as through the extensive use of tones and noises, but Petit’s incredibly vast and intricate sonic collages often have a dreamy touch which gives his composition a very different dimension. By contrast, very much like Oneiric Rings On Grey Velvet, Hitch-Hiking Thru Bronze Mirrors is largely based on processed orchestral work, which Petit purposely dissects and deconstructs, at times isolating particular instruments or patterns, at other seemingly throwing everything together, to serve his narrative. The album opens with a clear, crisp piano which becomes progressively more distressed as the piece progresses. The tone changes drastically on the second movement, on which Petit combines strings, percussions and electronics to create a series of patterns which evoke the heavy machinery of the industrial age, but this lifts off to reveal a much more delicate mid section where piano and vibraphone flutter freely, until the original mechanical sequence returns. Petit uses a similar rhythmic process later on toward the end of the fourth movement, but in a lighter form. Later, he injects some of the abstraction of Fire-Walking…, but he tempers that by placing piano or orchestral-based pieces to ensure that the overall tone of the record remains firmly in fantasy. Una Symphonia Della Paura, released in very limited quantity on Utech Records a few weeks after the first Lemon Girl instalment, is a radically darker and more introspective work. Originally a collaboration between Petit and Justin Broadrick, which resulted in the opening piece, Murmur, a brooding collage of distorted guitar and noise which appears to continuously expand and contract, Petit, working alone, then expanded this basic platform to incorporate dark haunting percussions (Fear Has Fallen, Diumal Terror, The Night Has Eyes), epic radio signal saturation (The Dark Passenger), corrosive electronics (Diumal Terror, The Night Has Eyes). This is in many ways a much more extreme piece of work than pretty much anything he has published so far. Throughout, Petit generates an incredibly dense and visceral wall of sound and distortions which morphs into a different form with each new piece, yet retains the same incandescence and urgency throughout. 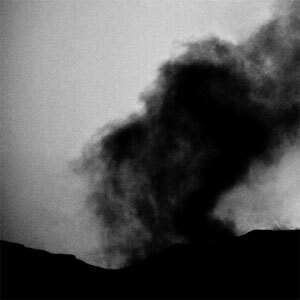 There is virtually no respite of any kind through the course of the whole album, and even when the intensity of the noise blanket occasionally subsides, it is as a simple prelude to it taking on a new form. With the last two instalments in his Lemon Girl triptych, Petit pursues his exploration of modern classical, subjecting it to a thorough deconstructionist process. As a trilogy, Extraordinary Tales Of A Lemon Girl is as odd and compelling as the literature which has inspired it, and the sonic journey taken on by Petit is incredibly ambitious and vast. The extreme approach he adopts on Una Symphonia Della Paura is not entirely surprising, he has come close to this a few times before, but its radical aspect demonstrates just how vast the scope of Petit’s work truly is. These three releases, although very different in nature, are further proof, if was needed, that Philippe Petit, in his quality of sound artist, should be thoroughly treasured.